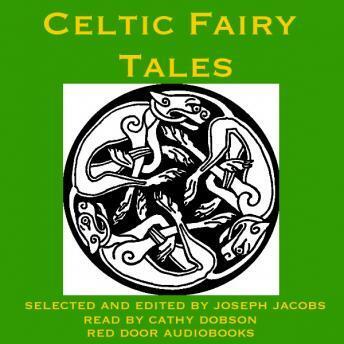 The definitive collection of traditional Celtic fairy tales. Joseph Jacobs' 1892 anthology of the most enduring folklore from Ireland, Wales, Scotland, and Cornwall is a delight for both young and old. Leprechauns, giants, witches, princesses, castles, and sea monsters all abound in this compendium of the best mythology Britain and Ireland have to offer. Includes: 'Connla and the Fairy Maiden', 'Guleesh', 'The Field of Boliauns', 'The Horned Women', 'Hudden and Dudden and Donald O'Neary', 'The Shepherd of Myddvai', 'The Sprightly Tailor', 'The Story of Deirdre', 'Munachar and Manachar', 'Gold Tree and Silver Tree', 'King O'Toole and his Goose', 'Jack and his Comrades', 'The Shee An', 'Gannon and the Gruagach Gaire', 'The Storyteller at Fault', 'The Sea Maiden', 'A Legend of Knockmany', 'Fair, Brown and Trembling', 'Jack and his Master', 'Beth Gellert', 'The Tale of Ivan', 'Andrew Coffey', 'The Battle of the Birds', 'Brewery of Eggshells', and 'The Lad with the Goatskin'.